Mr Duan is Chairman of STONE Group Corporation. 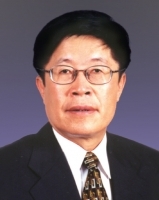 In 2000, he was honoured with the Bauhinia Cup Outstanding Entrepreneur Award of PolyU. Mr Duan is Founding and Honorary President of the Bauhinia Cup Outstanding Entrepreneurs Association and has been actively involved in bridging PolyU with business enterprise.